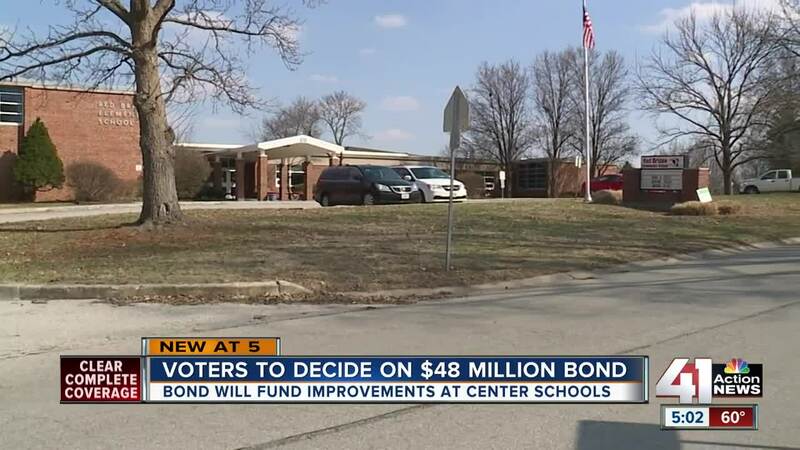 The Center School District is pushing for a $48 million no tax increase bond issue in the April 2 election that would fund upgrades to schools seeing growth. KANSAS CITY, Mo. — Educators in the Center School District hope people will vote ‘yes’ on April 2 to a no-tax-increase bond issue that will help improve schools. Every elementary school in the district has seen an increase in enrollment in the past few years, and teachers are having to adjust. “We’ve eliminated computer labs and have gone to laptops and chrome books so that students can have technology without having to have a space designated for that,” Center School District Superintendent Dr. Sharon Nibbelink said. Red Bridge Elementary realized they needed to add two classrooms when kindergarten enrollment went up. They brought in a modular outdoor classroom in July, which is slightly secluded from the rest of the school and doesn’t have a bathroom. Some teachers have to shuffle around to different grade levels to adjust to fluctuating class sizes. “We do have a smaller-sized gym and a smaller-sized cafeteria compared to other elementary schools in the school district," Red Bridge Principal Rachelle Hamrick said. "We’re looking at maybe doing some renovation there to help with those areas." Those are just a few reasons why the district believes the $48 million bond issue will pass. It would fund needed upgrades to security , additions to elementary schools, and completely replace Indian Creek Elementary, which has seen the largest growth in the district. The district hasn’t built a new school in 50 years, and last passed a bond in 2009. Nibbelink said the district went to a presentation by the Mid-America Regional Council that focused on growth in south Kansas City. “The population age from 24 to 35 is growing at faster rate in south Kansas City than the rest of the metro was, which probably confirms our rationale that our neighborhoods are changing over, younger families are moving in and we’re seeing that enrollment show up in schools, especially elementary,” Nibbelink said. Hamrick has been the principal at Red Bridge for three years. “When I first got here, we were at 295 and now we're up to 314 for our enrollment, and last year we had 42 kindergartners and this year we had 59,” Hamrick said. Rick Chambers, a 35-year resident who has been very involved in the district, says he's only come across a few people who are against it while out campaigning. He runs the Citizens for Center campaign committee. This bond will not raise taxes but extend them for the next 20 years. It depends on how much each household is paying in property taxes. The current debt service property tax levy would remain the same at 90 cents per $100 valuation. For the bond issue to pass, 57.14 percent of voters must vote yes. If passed, upgrades would start immediately and be finished within two years. “We’re kind of a unique community," Chambers said. "We’re located with in Kansas City Missouri but were an independent school district in our community has always taken great pride in the quality of our schools." The district has a list of frequently asked questions and answers on its website.